We have been working as a leading manufacturer of decorative printed paper in Japan since 1968.We have overcome some tough economic crisis, such as oil crisis in 1973 and 1979, bubble economy burst in 1991 and Lehman shock in 2008 by developing new products together with long-standing our employees. We have been advancing research of environmentally-friendly raw materials. We have already started to use water-based ink for design printing. Furthermore we will work in research and development to provide our customers more user-friendly products and more safe and healthy workplaces. We always endeavor to carry out our work with the utmost sincerity and courtesy. We are dedicated to the use of our printing technology to contribute to the betterment of society. We are committed to deliver reliability, providing society with fine quality products. Trade name Tokyo Color Gravure Industrial Co., Ltd.
Business description Production of decorative printed paper, promotion and sales. Various kinds of design printing, resin coating, edge band cutting and laminating. 1967 Established Tokyo Color Gravure Industrial Co., Ltd. by Dantani Corporation, Sakae Gravure Printing Co. Ltd. and board members. Constructed head office at 1-16-19, Shinbashi, Minato-ku, Tokyo. Hirotada Dantani was elected president. 1967 Constructed Tokyo office at 18, Toranomon, Minato-ku, Tokyo. 1968 Established factory at 8, Okazato, Koga-shi, Ibaraki-ken. 1968 Removed Tokyo office to 8, Okazato, Koga-shi, Ibaraki-ken. 1970 Increased capital to 10 million yen and authrised capital to 40 million yen. 1971 Removed head office to 4-7-1, Shinbashi, Minato-ku, Tokyo. 1975 Established 4 company houses at 1949-36, Kozutsumi, Koga-shi, Ibaraki-ken. 1976 Removed head office to 8, Okazato, Koga-shi, Ibaraki-ken. 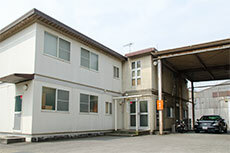 1988 Established Kozutsumi warehouse at 1949-29, Kozutsumi, Koga-shi, Ibaraki-ken. 1994 Mikio Dantani was elected president. 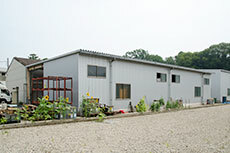 1999 Established Sanwa warehouse at 835-1, Shimokatada, Koga-shi, Ibaraki-ken. 2002 Kimihiro Shimoda, president of Sakae Gravure Printing Co. Ltd. was elected president. 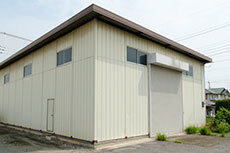 2004 Established the 2nd Sanwa warehouse at 835-1, Shimokatada, Koga-shi, Ibaraki-ken.